Most experts, including the guys at frontdoor.com, agree that there are generally 12 different and distinct types of neighborhoods. How you live your daily life and how you have projected yourself in the future will determine which of the 12 best suits you. Throughout the course of the next few articles I will walk you through each of the twelve neighborhoods and how they apply to the Orlando area, starting with the first three. 1. 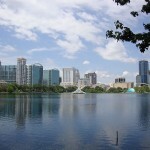 Downtown – Downtown Orlando is roughly a few square miles encompassing Lake Eola. Here you will find a mix of brand new luxury apartments, some fixer-up type lofts or apartments, duplexes and few single family homes. If you like being in the center of everything this is the neighborhood you would choose. Walking distance to the coffee shop, restaurants and book stores, offers a convenience but not without a cost. 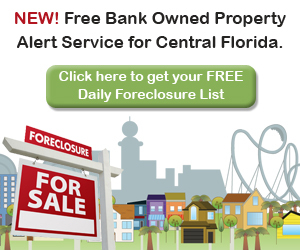 For your convenience you will likely pay a little more for less square footage and will have to deal with street noise and maybe a few transients. 2. Urban Pioneer – The Urban pioneer neighborhoods are typically older homes that surround on the outskirts the city center. Thornton Park is a good example of this type of neighborhood. This area offers a little more square footage and yard for your money than the downtown neighborhood without losing the charm and character of the homes. The downside is that not everyone in your neighborhood will be able to keep their house up to date, resulting in some neighborhood eyesores. 3. New Urban – A new urban neighborhood is a neighborhood built around a business park or area where many people converge each day for work. These neighborhoods, such as Baldwin Park or Avalon Park offer new construction in a retro style within a planned community. The community is generally walkable and includes grocery stores, nightlife and movie theatres. The main downside to this type of neighborhood is price. Because they are especially trendy they tend to attract the young single professionals who have a little more disposable income than the typical family.